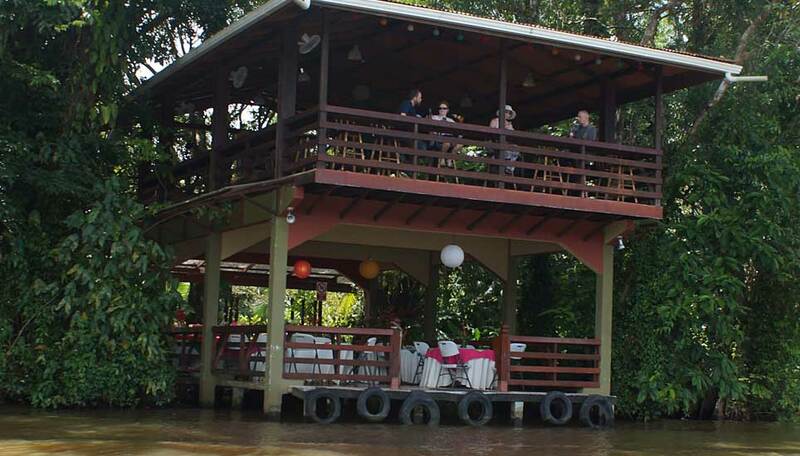 A beautiful eco-lodge, nestled in the rainforest on the edge of the famous Tortuguero National Park. Evergreen Lodge open year round. Access to this delightful eco lodge is only by light aircraft or by boat. 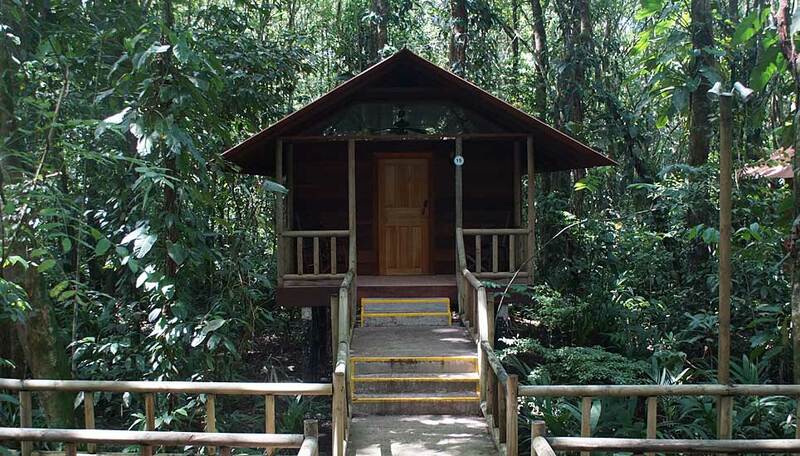 Situated in 2 hectares of grounds, this makes for a relaxing stay in the heart of the rainforest. 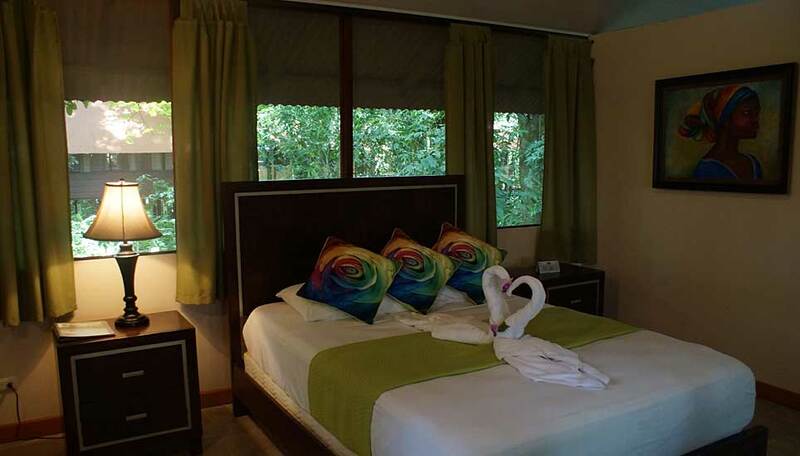 You are just 5 minutes from the entrance of Tortuguero National Park, but the lodge also has its own trails and canopy walk too so you don’t have to venture far. Fall asleep to the sounds of the forest, or spend part of your day sunbathing by the turtle shaped pool, or exploring the gardens. 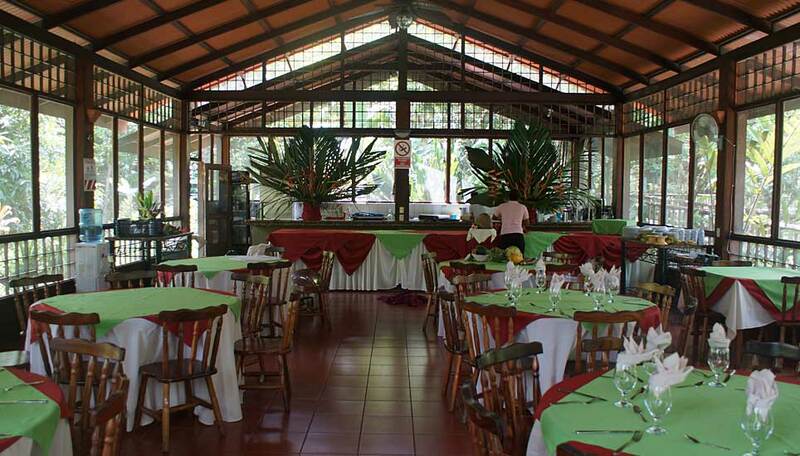 The attractive main areas are a good place to meet and relax with other guests. There are several restaurants and the bar is a popular place to quench your thirst at the end of the day. There is a spa available for pampering after a hard day exploring the surrounding area. Why go to Evergreen Lodge? Tortuguero is considered to be one of the most exotic regions in the world with an incredible variety of flora and fauna. 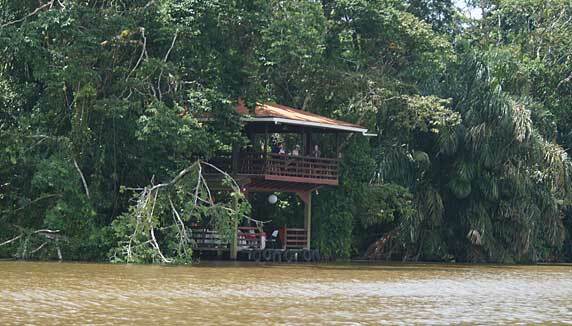 This is the place that first springs to mind when thinking of turtles, hence the name Tortuguero. During July and October it is possible to see green turtles laying their eggs, time it right, and you could also witness the hatchlings breaking free from the nest and making straight for the ocean. You are unlikely to see turtles here outside of the nesting season. There are no roads in this area, All transportation and tours are done by boat adding to the remote feel and magical quality of this region. 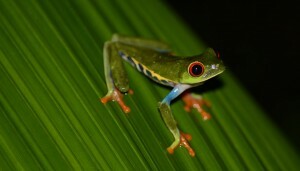 Tortuguero is a region rich in flora and fauna. Walking through the hotel trails one can see big trees like the almond mountain tree (macaws love the fruits), cativos, chilamates (giant trees) and plants like heliconias, rubiasas, peperasia and many more. 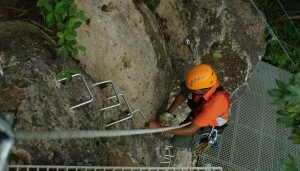 Bird watching is fantastic here too with an abuncance of toucans, woodpeckers and golden orioles. 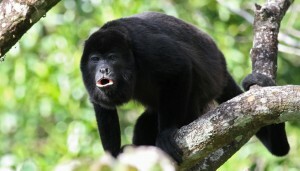 Let us not forget the endearing sloths, white faced capuchins and the raucous howling monkeys which are also found here. Surrounded by luscious, dense rainforest. Bus and boat return transfers between San José and the lodge. Welcome cocktail, two nights accommodation. Breakfast en-route between San José and the lodge. Breakfast, lunch & buffet dinner for the two days/nights spent at Evergreen Lodge. Lunch en-route back to San José. The following shared tours (with a bilingual guide) are included as part of the package: Tortuguero village tour, trip to the Green Turtle museum, guided walk around the lodge trails, Tortuguero canals tour. There are 55 rooms at Evergreen Lodge. 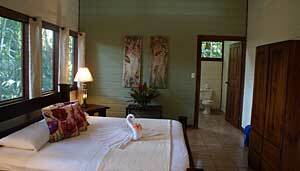 The rooms are rustic and very comfortable all within a beautiful rainforest setting surrounded by nature. Each has an en-suite bathroom with hot water and a ceiling fan. The simple and spacious rooms all have 1 double and 1 single bed. Children under 5 years old stay for free, children from 5 to 11 years pay 50% (maximum 2 children for room), children 12 years and older pay full fare. There is free WiFi in the main areas and cellular signal is available. 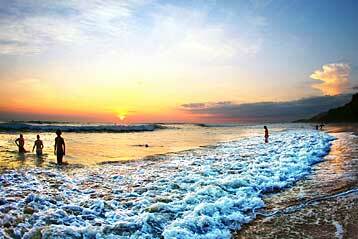 High season: December 14th to April 15th & from July 1st to August 31st. Low season: April 15th to June 30th & from September 1st to December 14th.